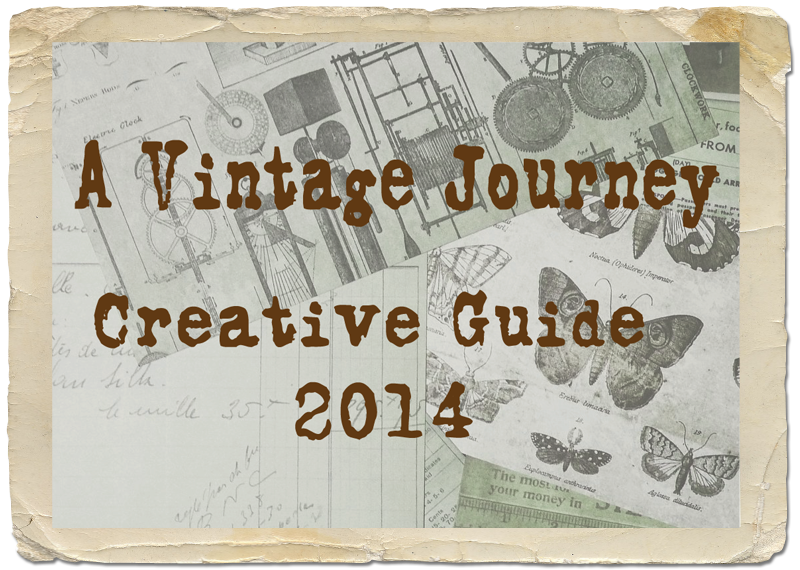 I'm excited to be participating in my second A Vintage Journey challenge as one of the newbie Creative Guides on the team. Here's the challenge in Host Sandie's words: With Halloween's passing we step into fall. For this challenge let's think about the harvest. It seems that pumpkins, wheat, corn and even the Harvest Moon could be in order. 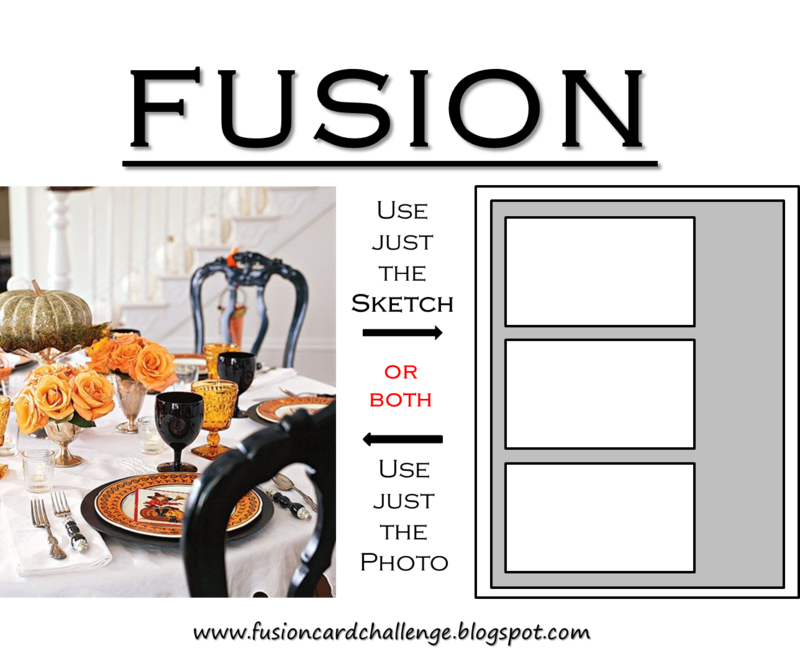 For us in the US - a Thanksgiving theme could work but not necessary. I decided to focus on the Thanksgiving aspect of fall and I used an Art Parts Create a Container to make this lovely box. Here are all the pieces that come in the Art Parts Create a Container Kit. I inked the back piece with Wild Honey Distress Ink and then stamped it with Ornate Dots in Archival Jet Black. I inked the square with Tumbled Glass Distress Ink and then stamped it with From A-Z background stamp in Archival Watering Can Ink. Then I stamped the sentiment from Say it With Art in Archival Jet Black. I sponged the edges of both pieces with Chipped Sapphire Distress Ink. The stamps are all Wendy Vecchi. I made some cards stamped with Bible Verses (described below) to tuck inside my container, clipping them together with an embossed Hinge Clip, looping a Swivel Clasp through the hole and attaching a Heart Charm to the end of the chain. It says 'heart songs' inside the heart. I embossed the Keyhole with Tree Branch Embossing Powder - add the brads and glued it over the hole on the back piece of the container. 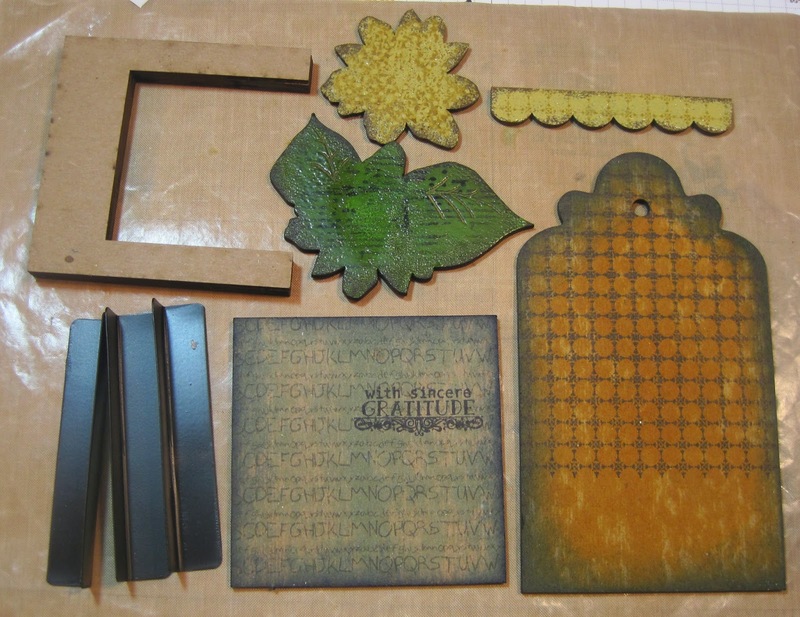 I embossed the Art Parts Leaf with Fern Green embossing powder - and then stamped it with a linear stamp from Large Collage in black. I embossed the flower with Tree Branch embossing powder and stamped over it with a dots stamp from Large Collage with Archival Potting Soil Ink. I added a Blossom Bucket Button to the center. I embossed the scalloped edge with Tree Branch embossing powder and then stamped it with Ornate Dots using Archival Potting Soil Ink. I drew on the faux stitching with fine black marker. Although we certainly should be thankful all year long - celebrating the Thanksgiving Holiday in the US - reminds me how much I have to be thankful for in my life - family, friends, a home to live in, a husband to share my life with, and the knowledge that it is God's grace that has given me all these things. SO.... I filled my little container with cards - made from 2 1/2" x 4" pieces of Paper Stash Wallflower paper that I stamped with Bible Verses from Beautiful Blessings by Papertrey Ink.. I love how they look stamped on this paper. I sponged around all the edges with Vintage Photo Distress Ink. I clipped the cards together with a Hinge Clip that I had embossed in Tree Branch Embossing Powder and slipped them right into the container. And I couldn't let the back go bare-naked! 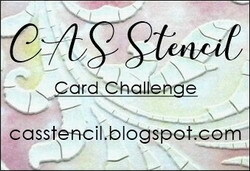 so I stamped this lovely lacey stamp from Say It With Art by Wendy Vecchi twice. The metal pieces come with the Art Parts container - they add strength to the box part. Looking at this now - I'm thinking I just might emboss them with Watering Can embossing powder to age them! Don't know why I didn't think of that when I was putting it together!?! So - there it is - my fall/thanksgiving project. As always, our sponsor is Country View Crafts who is offering one winner, chosen by the Creative Guides, a £10 voucher to spend in their on-line shop. 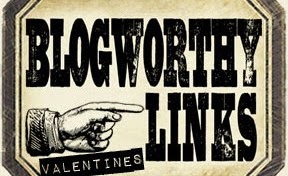 I hope you will be inspired to play along with us - you have 2 weeks - you will find all the details at the A Vintage Journey Blog - as well as a multitude of glorious projects from my wonderfully talented fellow Creative Guides! Ink: Wendy Vecchi Archival Fern Green, Tree Branch, Watering Can and Potting Soil: Ranger Distress Tumbled Glass, Wild Honey and Chipped Sapphire; Archival Jet Black. Accessories: Idea-ology - Keyholes, Hinge Clips, Heart Charm, Swivel Clasp; Art Parts Create a Container - Wendy Vecchi; Button - Wendy Vecchi Blossom Bucket; jump ring, Scotch Quick Dry Adhesive, Bic Z4 Black Marker, Wendy Vecchi Embossing Powder Fern Green and Tree Branch. Waltzingmouse Oct Release Day and DT Blog Hop! The Waltzingmouse October Release day has finally arrived - today you will be able to purchase the new stamp sets - Flurries, Jolly Old Elf and Elf Made as well as the beautiful new dies - Pretty Panels #1 and Pretty Panels #2. 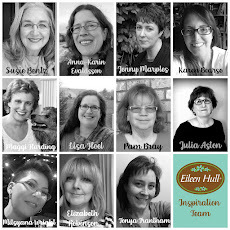 To celebrate the release - the Design Team is having a Blog Hop - I am first on the hop this time - but you can always find the list over on Claire's WMS blog if you lose your way. I have two final cards to share - first up I used stamps from Flurries along with some Winter Blend Sequins to make this snowy starry winter sky scene. I just LOVE this row of trees! I stamped the little panel of stars stamp many times over the panel to fill the sky around the trees. 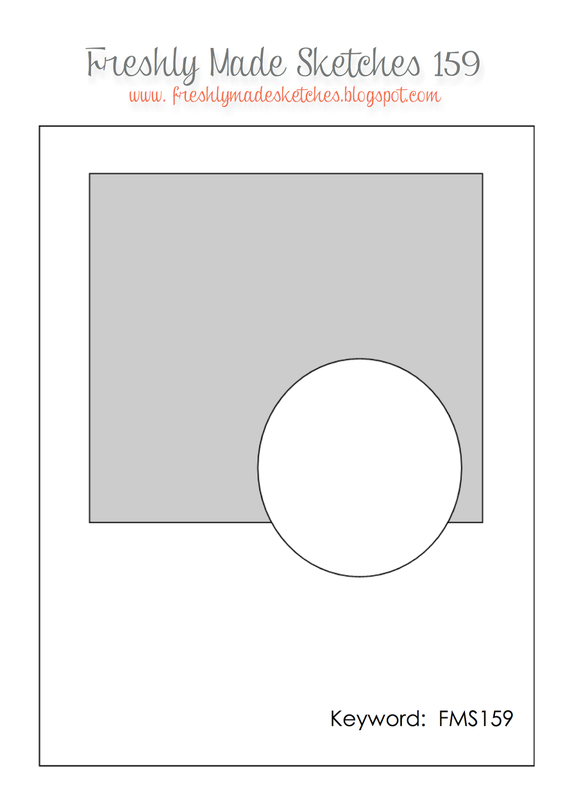 This card is 4 1/4" x 4 1/4". And for my final offering using the new stamp sets - here's a fun '10 days to Christmas countdown' card using stamps from Elf Made. I stamped the numbers on some grid paper that made it easy to stamp everything straight (!) and layered the strips and punched sentiment over a panel of patterned paper with foam dots. Details on how you can win a stamp set are on the WMS blog. Thanks so much for joining us for the Waltzingmouse October release! Now you can GO SHOPPING so you can get started on all those holiday cards that need to be stamped!!! Accessories: Pure Poppy Twill Tape - PTI, foam dots, Winter Blend Sequins - Avery Elle, Key Tag Punch - SU. Welcome to Day 2 of the Sneak Peeks for the Waltzingmouse October Release. All three sets will be available on October 28th - The Design Team showed you Flurries yesterday - and today we are working with a cute set called Jolly Old Elf. For my first card I used one of the 3 elves from the set - two of the 8 sentiments and 3 of the 10 little foliage stamps in the set! (can you tell this is a BIG set chock full of stamps?!) I love, love, love the little pine sprigs and pine cones! Here's what I stamped inside. One of the elves in the set has a separate stamp for feet, legs, body and hat so for my 2nd card - I just inked the hat and the feet - along with another of the sentiments from the set! - oh - and I used the bells too! Here's a little close up view of the stampings! Inside I stamped the same sentiment that I used on the front of my first card. I used the Freshly Made Sketch for the design of this card. I hope you will check out the rest of the Design Team linked below - to see what stamps from this adorable Jolly Old Elf set they have used There are some lovely stockings and more sentiments that I'm sure you will see! I'll be back tomorrow at 2 pm EST for Day 3 of the peeks! Happy Thursday my friends! - there's a new Fusion Challenge up today! Just in time for Halloween with this lovely photo for inspiration - or you can just be inspired by the colors and not the theme - and what a fun and easy sketch to use for inspiration - chose one or both - and do a FUSION! Being on the Fusion Design Team - I of course wanted to make a card for the challenge - but I was a little short on time with some other obligations this week - but being short on time should never deter us stampers from making a card - right??!! The only thing stamped on my card is the 'be Witched' sentiment - the rest of the design is a piece of patterned paper from DCWV The Ghosts and Goblin Matstack! How easy was that??!! Then I just added 3 orange rhinestones and stamped a sentiment inside seen below. Both stamps are from a wonderful Halloween set from Waltzingmouse called Hocus Pocus. My card is 4 1/4" x 4 1/4". I was inspired by the Halloween theme and colors for my creation. So if you are short on time - but still want to create - try going CAS! (clean and simple!) I can't wait to see what you link up over at the Fusion Challenge! I hope you might take a minute to check out the rest of the Design Team to see how they were inspired this week! Paper: white, smokey shadow - PTI, DP - DCWV The Ghosts and Goblin Mat Stack. Accessories: rhinestones - Kaiser Craft. A Vintage Journey - Halloween: to die for! With this post - I am over the moon excited to tell you that I was selected to be a Creative Guide for the A Vintage Journey challenges! I have been participating in their challenges for some time now - and I am SO excited (and nervous) to be working with so many creative vintage designers. I know I'll learn so much about this genre being on this team. So today I have my first project to share as a Creative Guide. I was influenced by Tim's techniques - embossing my bottle, dying my ribbon with Distress Stains - using two of his dies and several Idea-ology pieces as I'll describe below. And here is the challenge in her words "Halloween is one of my favourite times of year, I love when the children come to the door, in their costumes, to 'trick or treat'. You do not have to make anything scary (but it would be fun if you did!) 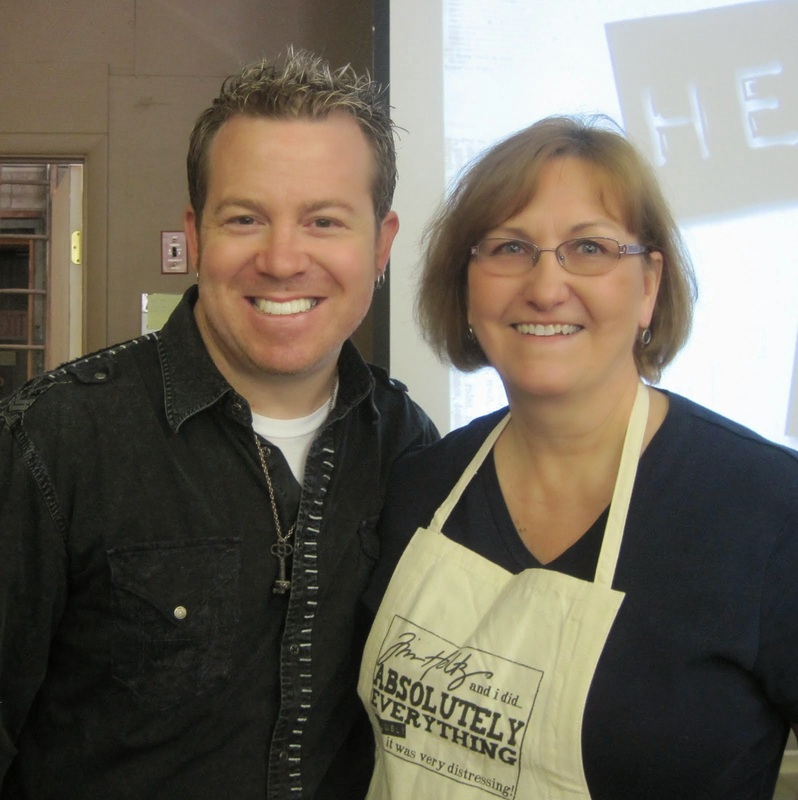 but you must use at least one die on your creation and it must be strongly influenced by Tim Holtz. 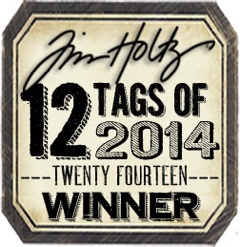 It can be a tag, card, canvas or mixed media piece." I have lots of photos to show you my creative process. I embossed an inexpensive clear glass bottle that I picked up at Michaels using Wendy Vecchi embossing powders in Orange Blossom with a little sprinkle of Watering Can. I sponged Archival Orange Blossom ink all over the bottle (instead of Versamark) so the powder would stick to the glass. This is a technique I learned from Wendy Vecchi on her blog. I die cut the pieces below using Tims Halloween Shadows die. I inked the pieces with Watering Can Archival Ink and embossed with Wendy Vecchi Watering Can Embossing powder. I didn't worry about getting total coverage with the powder - I actually brushed some off of the edges to give a more distressed look. Here's a close up of how it looks after embossing - you can see the spaces that were brushed off. I inked the cork of the bottle with Archival Orange Blossom ink and just sprinkled a little bit of Watering Can Embossing Powder over it - and it came out like this. I slipped the trunk of the die cut tree into a Memo Pin and stuck the pin through the cork - cutting off the point so no one would prick their finger on it if they removed the cork from the bottle! I had glued one die cut bat and the owl onto the tree and added orange rhinestones for the owls eyes. I colored the Crinkle Ribbon by dabbing Walnut Stain and Spiced Marmalade Distress Stains on my Kraft Mat - spritzing with water and dragging the ribbon through the puddle. I let the fun die cut row of Halloween Shadows run along the bottom of the bottle. I adhered it with foam dots placed on the 4 heads in the center of the group. Of course, I couldn't leave the back of the bottle undecorated! I embossed the Alpha Parts Framed numbers with Orange Blossom just scattering a little bit of powder over the pieces after I inked it with Orange Blossom ink to hold the powder on (you have to be careful melting the powder on the plastic as the plastic can melt!). 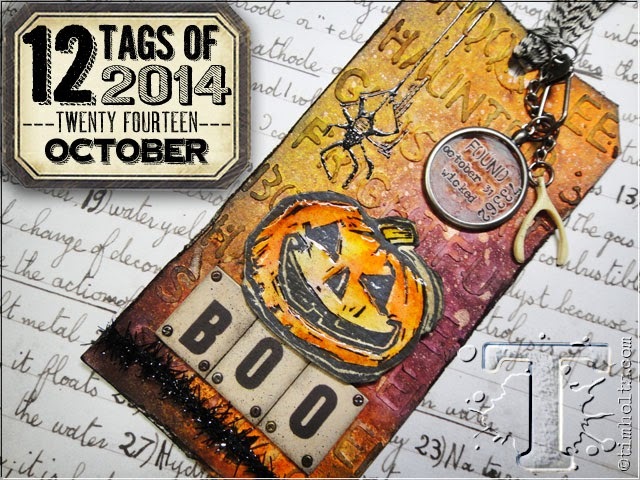 I added a couple of Remnant Rubs/Apothecary and Label Letters to spell BOO. I hope I've given you a little inspiration with my Halloween - To Die For project today! I hope you'll consider joining in on this Halloween challenge - you will find all the challenge details and the link up over at A Vintage Journey. (Not to mention some MARVELOUS spookiness from the rest of the Creative Guides! You MUST check them out!! Ink: Archival Orange Blossom and Watering Can. Accessories: Idea-ology - Memo Pins, Alpha Parts Framed, Remnant Rubs/Apothecary, Crinkle Ribbon, Label Letters; Ranger Distress Stains - Walnut Stain and Spiced Marmalade; Alterations dies - Halloween Shadows and Graveyard Die; clear bottle - Michaels, Mini Mister - Ranger, foam dots, ScorTape, Wendy Vecchi Embossing Powders Orange Blossom and Watering Can.